CALLING ALL STUDENTS! DO YOU HAVE WHAT IT TAKES? The OMG MENA Inter-University challenge will test your problem solving and analytical skills. Teams from AUB, AUC, AUD and AUS will compete to come out on top. The winning team will win a $10,000. The challenge will be about solving a real data science problem statement. Competitors will be expected to build a model using a provided sample dataset(s). In phase 1, teams from each university will compete against each other. 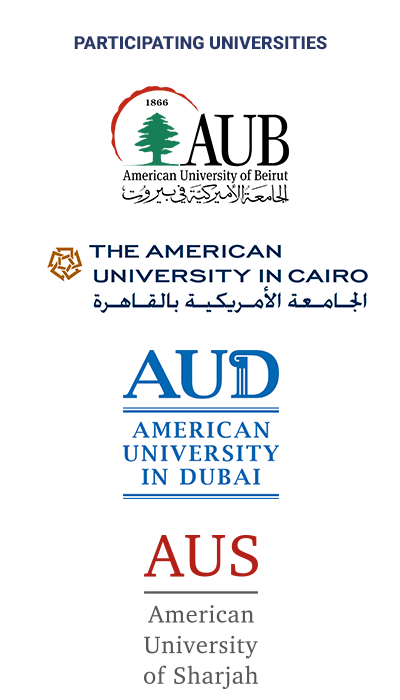 In phase 2, the winning team from each university will present in Dubai. One team cannot have more than 5 participants. Below are the links for four different briefs. You’re expected to submit the results and explain your results as per the word document inside the link or the form shared by your university liaison. The briefs are ranked in order of difficulty; 1 being the easiest and 4 the hardest. You’re expected to choose and present only one of them. Please note that jury will take the difficulty of the brief into consideration during the scoring process; i.e. higher scores will be given to the most challenging briefs.